Selecting the right fibre brush tool is determined on a customer-specific basis dependent on the respective application. Our engineers and application technicians with their many years of experience are happy to advise you by phone or email regarding a high quality and economical brush tool for your process. The fibre material is better suited to polishing tasks than other similar facing materials due to its heat resistant, hard and aggressive natural fibres. 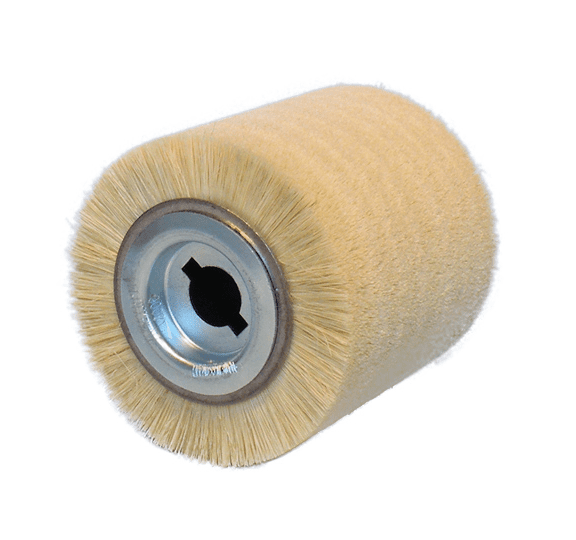 Adhesion of the polishing agent to the rough fibre structure is guaranteed throughout the entire processing period and this contributes to the optimum polishing results. Selection of a high quality fibre material safeguards the quality of our products. The fibre has a yellow sheen. It is obtained from two types of agaves, which only grow in the Mexican highlands. The conventional trade name “Tampico Fibre” comes from the Mexican port of Tampico, in which the fibre material has its origins. In addition to the name “Tampico Fibre” the exact same material is sometimes also known as “Mexico Fibre”, due to it being cultivated in Mexico. The fibre material impresses above all due to its exceptional resistance to acids, alkalis and heat, coupled with an equally high degree of elasticity and optimum water absorption.